Dreamcast Collection is a compilation of Sega Dreamcast games for Windows-based PCs and the Xbox 360. It contains four games; Sonic Adventure, Crazy Taxi, Space Channel 5: Part 2 and Sega Bass Fishing all originally developed by teams within Sega. Some versions of the game were bundled with a special edition Dreamcast collection vinyl, similar to the previously released Sega Mega Drive Ultimate Collection. Australians could get their hands on the record by pre-ordering the game through JB Hi-Fi, however it was also available for France and Spain. Other regions of Europe did not receive this gift. 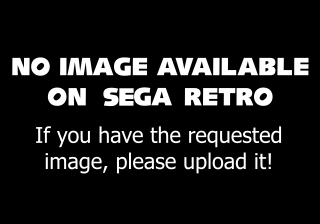 Despite its name, it is not thought any game in this compilation was directly ported from the Dreamcast. Sonic Adventure is a stripped down version of the Nintendo GameCube and PC game Sonic Adventure DX: Director's Cut from 2003, and Space Channel 5: Part 2 stems from the North American PlayStation 2 release of Space Channel 5: Special Edition, crediting Agetec as a publisher in the credits. In fact, no English language version of Space Channel 5: Part 2 was ever released for the Dreamcast - only the original Japanese version in Japan. Crazy Taxi and Sega Bass Fishing likely derive from PC conversions from the early 2000s, as the former removes licensed music and venues, while the latter removes all references to the Dreamcast Fishing Controller. These conversions of Crazy Taxi and Sonic Adventure were previously released separately on Xbox Live Arcade in 2010. The quality of the ports varies between games. Some force a 4:3 aspect ratio, while others allow for 16:9. In all cases, the games have been "enhanced" by stretching the visuals to widescreen 720p, though sans borders, this is realistically more like 960p - double the original Dreamcast resolution of 640x480. Neither textures nor 2D graphics were re-drawn during the conversion, creating a blurrier and more distorted picture. This is particularly noticable in Crazy Taxi's menus (also stretched to meet the 16:9 ratio) and the pre-rendered video in Space Channel 5: Part 2, designed to be displayed at the original 480p resolution. In July 2016, the Steam version was replaced with a new bundle which included two additional games: Jet Set Radio and NiGHTS into Dreams, the latter of which is not a Dreamcast game.